Charlie Brooker talks to the cast of The Wire, and to Baltimore natives, to find out what makes the show so special. As FX UK prepares to rerun HBO's The Wire from season 1 right through to the end of season 4, this documentary looks at why the series has been so well received and why you rarely hear a viewer of it described it in any way that could not be described as gushing. 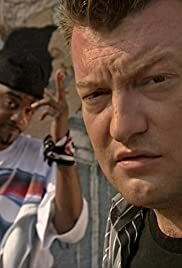 With contributions from celebrity viewers and the cast members themselves, Charlie Brooker (himself an avid viewer) travels into the dark streets of Baltimore to examine just how real it all is. If you ignore the fact that the title "Tapping The Wire" is a pretty poor one, then this film is still mis-titled because the "Tapping" suggests listening in to the inside story, getting insight covertly and so on. In this area the film is slightly disappointing because it is not aimed at existing fans but rather FX viewers who have not yet got into the sheer intellectual and entertainment drama that is rightly called one of the best things on television. In this regard this film would be better called "Plugging The Wire" because it is simply about selling the series to as many viewers as possible before the repeats start. This is best seen in the fact that the film was screened nightly for 6 nights on FX  a channel that does do repeats but not that regularly! With this aim in mind, it is perhaps no real surprise that the material is very much about grabbing the attention rather than being a real documentary on the subject. This means that no specifics of the plot are really discussed  rightly so for new viewers but it does limit how much can be discussed. Brooker also observes at the start of the film that it is dull having people gush at you about how brilliant that this show or that show is, but stresses that for The Wire, it is worth it. However this doesn't mean that the contributions needed to be so obvious and predictable. Listening to the celebs gushing about it, I did think that pretty much any viewer could have done as well. I'm not sure why these people were selected  it would have been much better to have used professional critics from the UK and US who may have been much more elegant on the subject. 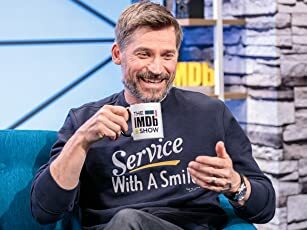 The small interviews with the cast don't add a huge amount to proceedings but they are better than the celebs, and their contributions are edited into succinct snippets and they do have insight. Further to this I did enjoy hearing West and Elba speaking in their native accents  only further showing how good their performances are. Brooker also goes into the hoods of Baltimore to find how real the world of The Wire is, and this bit also falls flat because it offers too little. Two residents say how real it is but again it would have been of more value to have expert testimony as well as their contributions because I didn't think the film got anywhere near exploring this side of the city  although that was never the intension. The documentary still had vague interest for me because I don't know any Wire fan who doesn't like to hear others say how good the series is, even if it is only to feel smug that "well  I already know that". On top of that, it is hard for me to criticise anything that has the aim of getting more of the viewing public to check the series out  hell, I myself have forced DVD's on family, friends, colleagues and even the odd internet user who I know! As a marketing tool then, it is an effective film that will hopefully grab a few more viewers for the FX rerun, however in terms of its value beyond this I'm afraid it is a bit thin.